One sip of red wine and you have got a bright red smile as a reminder that your pearly whites are in trouble. It’s no secret that drinks like red wine and coffee are causing your teeth to yellow with every gulp, but dark coloring is not the only factor affecting your smile. Though it is incredibly hard, tooth enamel is not incredibly smooth. Enamel is full of ridges, pits and cracks that provide perfect hiding places for the pigments that go along with some of our favorite drinks and foods. Certain foods and drinks can even worsen the state of your enamel, causing even worse staining. What foods and drinks should be avoided? While most people are aware that coffee and red wine can stand in the way of your teeth whitening dreams, there are plenty of lighter looking foods that find their own sneaky ways to stain your teeth. It turns out white wine can be just as volatile for your teeth as red wine. While the lighter hue is not as noticeable as deep red, the acidity of the wine can cause enamel erosion making your teeth much more vulnerable to other offenders. Another acidic trouble maker that people don’t often think of is soda. While it seems logical that dark colored cola is problematic, you might think you’re in the clear if you stick with a lightly colored one. The truth is that the acid in any soda can make it tougher to maintain a newly whitened smile. Popular condiments like soy sauce, tomato sauce and balsamic vinegar are all threats that you might not consider when you sit down to lunch. The brown and red coloring of these products can easily stick in the crevasses of your enamel. Fruits are hailed for their rainbow of shades and health benefits, but their sugary juices can wreak havoc on your teeth, especially when you’re dealing with things like pomegranates and blueberries. Sticking to raw fruits is a better way to get your fruit for the day while maintaining your bright smile. How can you enjoy these foods without worries? Asking someone to cut their daily cup of coffee or skip that glass of wine with dinner is quite a lot to beg of someone. Instead, enjoy a glass of water with your damaging drinks. Alternate sips of coffee with sips of water. This will help rinse away some of those nasty dark pigments. For pesky teeth staining condiments, try snacking with crunchy lettuces or celery. These foods can act as a natural tooth brush, scrubbing stains and your troubles away. If you have questions about teeth whitening, or it’s just been a while since you’ve had a cleaning or talked to your dentist, it’s time to make an appointment. You can contact Leikin & Baylin Dental Care of Catonsville, Maryland by calling 410-747-1115 or visiting CatonsvilleDentalCare.com. Should I Invest in Invisalign? Straightening your teeth can be uncomfortable and inconvenient, but it doesn’t have to be. Investing in Invisalign for your cosmetic dentistry needs is the smartest thing you can do for your teeth. Why? Just like braces, Invisalign straightens your teeth and corrects any other issues with your teeth, but without all the restrictions and inconveniences that come along with braces. Invisalign is rising in popularity in orthodontics and cosmetic dentistry, and here’s why! No gum, no caramel, no hard candy, no whole apples. These are just a few of the many restrictions that come with braces. Wires can snap at any moment, even if you follow the rules perfectly. With Invisalign you can eat whatever foods you want, because all you have to do is remove the device to eat. 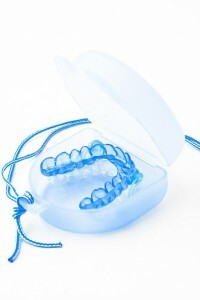 Invisalign is made of smooth plastic that fits to your teeth as opposed to the sharp wire and metal pieces of braces. When considering what type of orthodontics comfort is key. Invisalign for your cosmetic dentistry needs is the best way to alleviate as much of the uncomfortable aspects of straightening your teeth while still effectively correcting your smile. With Invisalign you can easily remove the device whenever you want, which includes for your regular teeth cleaning habits. Being able to brush and floss normally while using Invisalign encourages not only straight teeth, but also clean teeth. 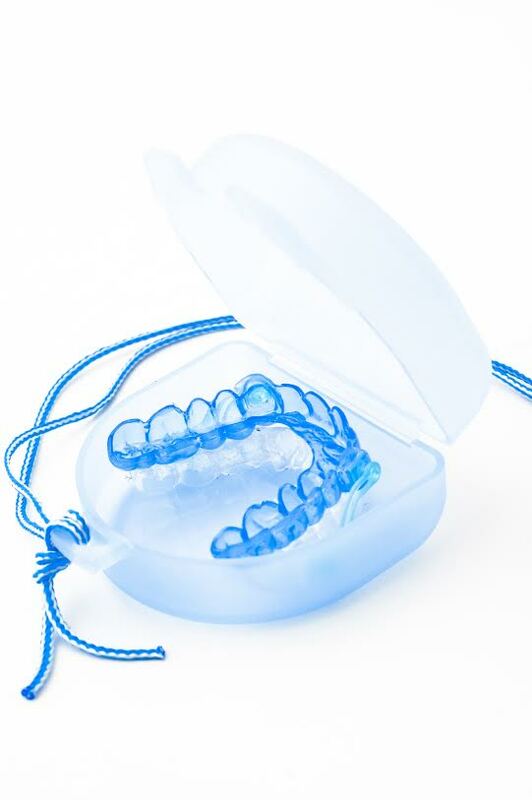 With braces there’s so many extra steps required to properly clean teeth, which are not only inconvenient and uncomfortable, but also difficult. Especially in teens, it is difficult to keep up with an effective cleaning routine with braces so Invisalign is often the cleaner choice. Braces cannot only foster poor teeth cleaning habits for forgetful teens, but they can also be easily broken and expensive to repair. With Invisalign Teen, there are six free replacement aligners available if your forgetful teen loses or breaks the device. Cosmetic dentistry to straighten your teeth is inevitable for a lot of people so why be uncomfortable and inconvenienced for months? With Invisalign you get the same effective process of straightening and correcting your smile, without the restrictions of braces. If you have questions about Invisalign, or it’s just been a while since you’ve had a cleaning or talked to your dentist, it’s time to make an appointment. You can contact Leikin & Baylin Dental Care of Catonsville, Maryland by calling 410-747-1115 or visiting CatonsvilleDentalCare.com. The beginning of the New Year is as good a time as any to start planning some changes for the better in your life. Now is the perfect time to leave behind bad habits, negative attitudes, and unhealthy behaviors and start fresh! And what else should you be leaving behind in 2014? How about yellowed teeth, crooked smiles, chips and gaps? Make 2015 the year of your brand new smile with cosmetic dentistry services from your Catonsville dentist! Read on to find out more. Oftentimes, people feel that there is nothing they can do to change a smile they do not feel comfortable or confident with. They may have tried every whitening toothpaste on the market, but years of staining cannot be erased at home. They may have resigned themselves to crowded, crooked teeth or gapping. But what these people do not realize is that there is an option for them: cosmetic dentistry. Cosmetic dentistry refers to the branch of dentistry dedicated to helping you get a smile that you can be proud of with straight, even, bright white teeth. Tooth enamel staining can occur from years of poor oral hygiene habits, from smoking, or even from some medications, but no matter what the cause is, cosmetic dentistry can help. 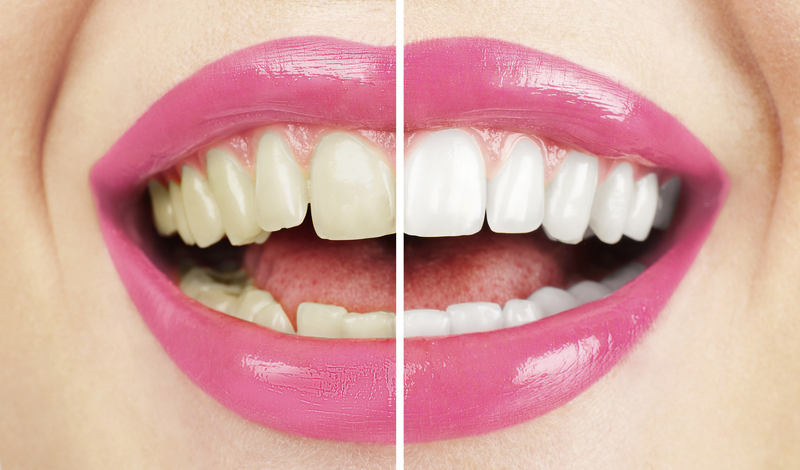 Professional teeth whitening can lift away yellow and brown stains, leaving you with the white smile you’ve always dreamed of! Cosmetic dentistry can also work to fix teeth that are misaligned and crooked. Straightening these teeth with Invisalign and other procedures helps correct your bite and give you a gleaming smile! You can even fill in gaps between your teeth with the help of cosmetic dentistry; ceramic crowns and bridges work to fill in those spaces and boost your confidence in your teeth! 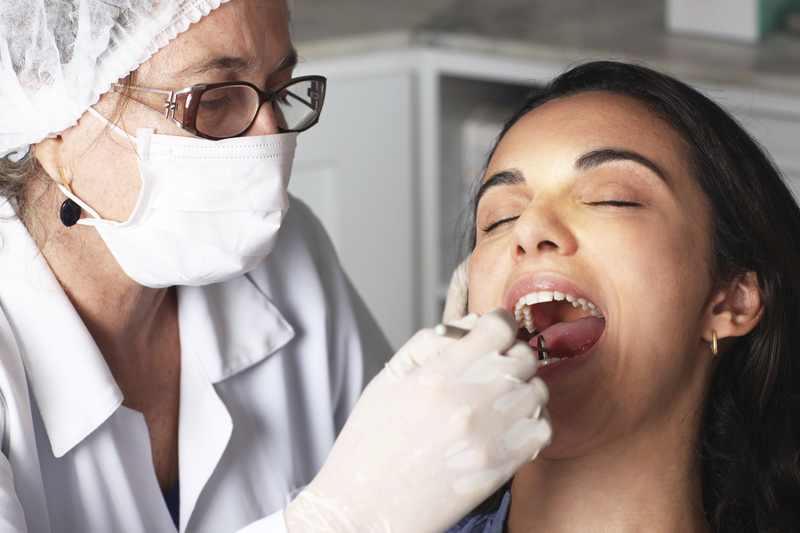 If you have questions about cosmetic dentistry, or it’s just been a while since you’ve had a cleaning or talked to your dentist, it’s time to make an appointment. You can contact Leikin & Baylin Dental Care of Catonsville, Maryland by calling 410-747-1115 or visiting CatonsvilleDentalCare.com.